The next one will be in November! Started with 14.2 dia and thought it was just so-so~ can’t really tell if you’re wearing lenses.. VERY natural i suppose! So I start to look for BIGGER lenses – 14.5/14.8 dia.. 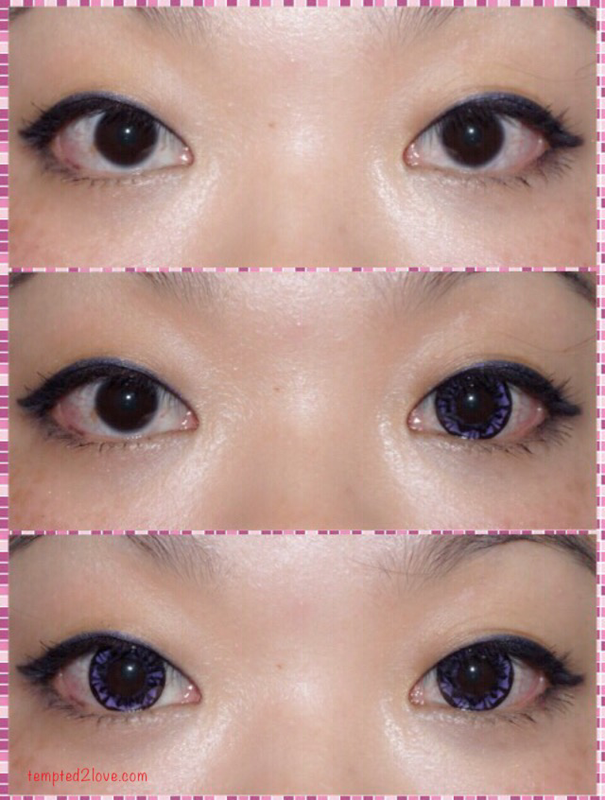 Thanks to PINKY PARADISE, I’ve got my FIRST 14.8 dia violet lenses…! 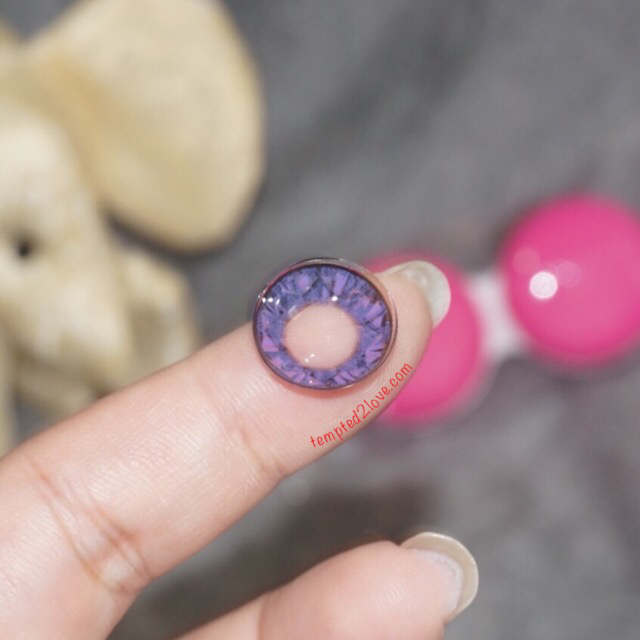 From the title suggested, this is a pair of GEO Diamond Violet lenses! And if you didn’t know, most of the contact lenses you ordered from Pinky Paradise comes with a FREE MACARON CASE! (Yes, like the one I got in the pic!) 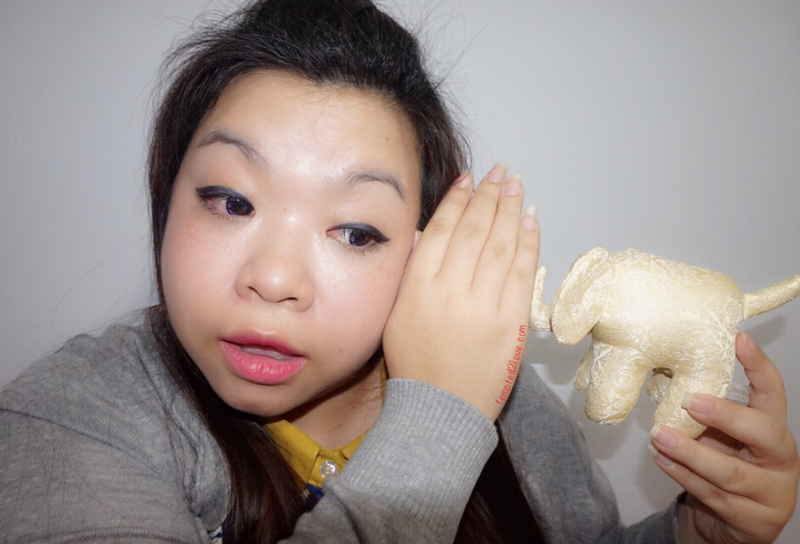 Why I say MOST is because I’m not sure if it is ALL… So far, most that I browsed comes with it! 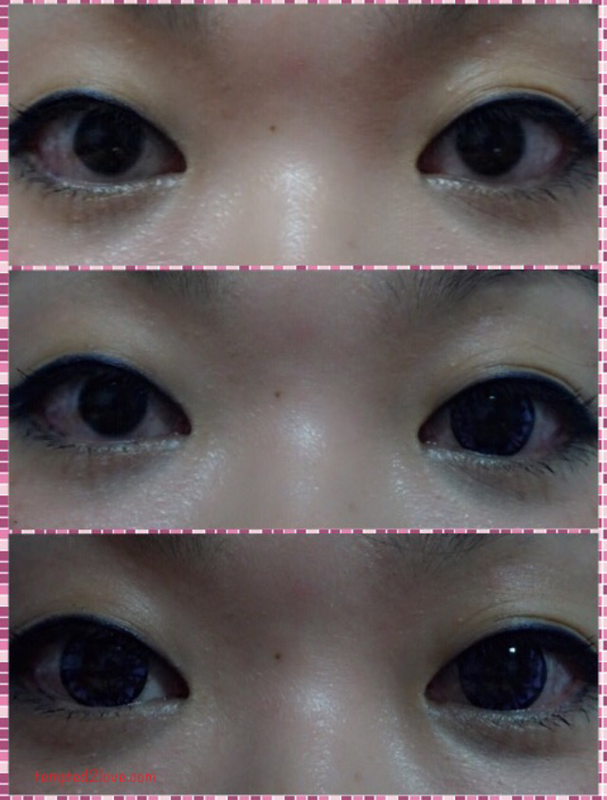 Pretty shock when I got my lenses! 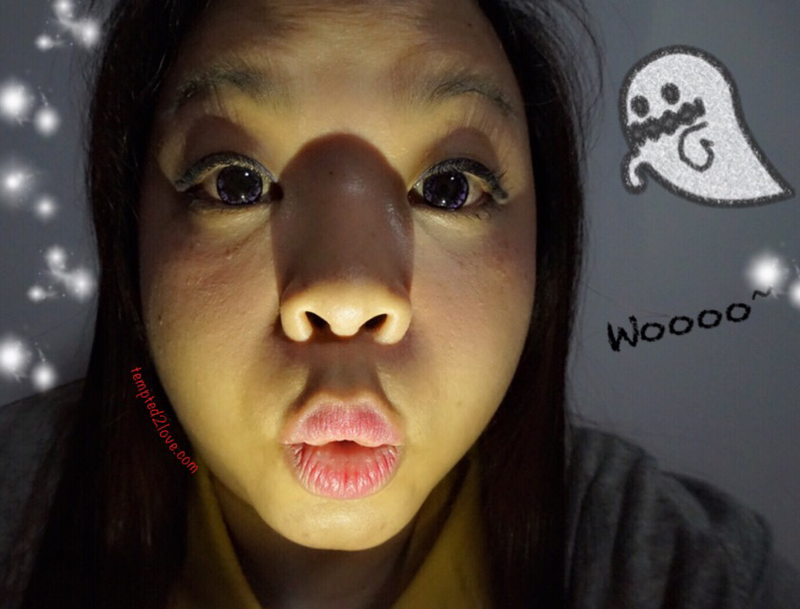 It’s so bright~ I was so worried the lenses will look super purplish when I wear it! I was looking for something more natural yet not boring though.. Image on the left was without flash and right was with flash.. 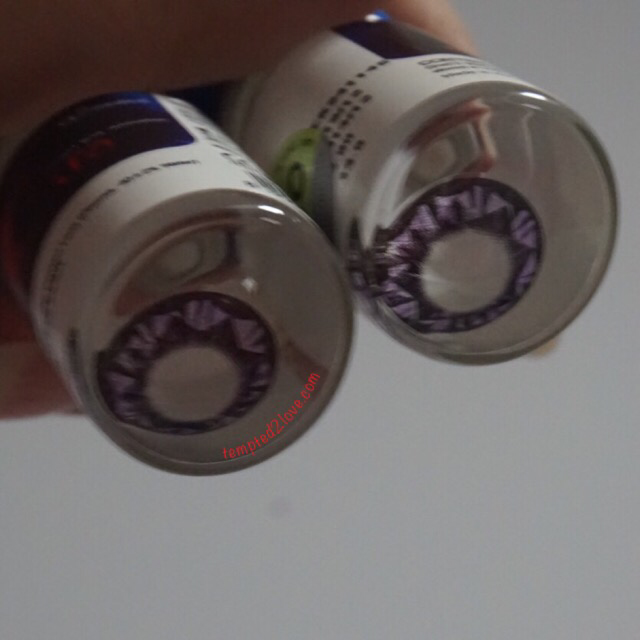 It was quite easy to tell which is the correct side from the design of the lenses (phew~).. I’m sure you can tell from the image..
Now let’s check out the lenses swatch! Comparing with and without flash, I think both are pretty likable! My eye look BIGGER, a lot BIGGER, than before.. The color kinda blend well with my black eye hence it’s pretty safe for wearing them to work (especially if your work place is conservative).. Without flash, you can still see the design but lightly. With flash, it just made the color more obvious.. Either way, they are really VERY PRETTY! What?? Too much close up?? 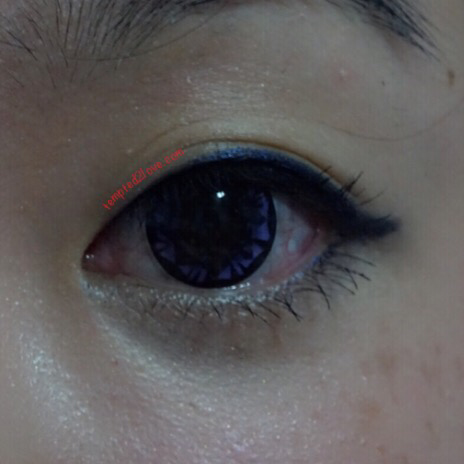 Overall experience for wearing 14.8 dia circle lens was good!! 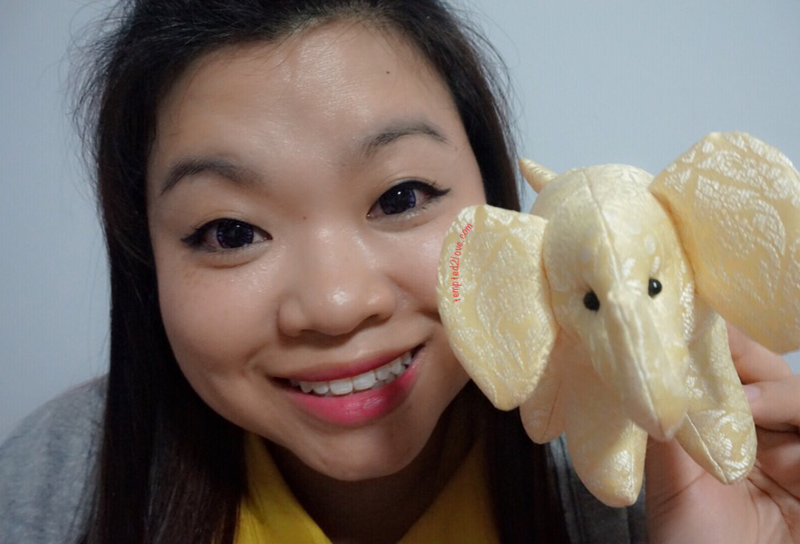 Love the enlarging effect it gave me and the comfort level was as good as wearing nothing on my eye! The only down side is probably I have to OPEN my eye really BIGGG to put on the lenses! Else every thing is fine! You don’t even have to worry about having a tough time removing your lenses. Bigger lenses are easier to remove!! 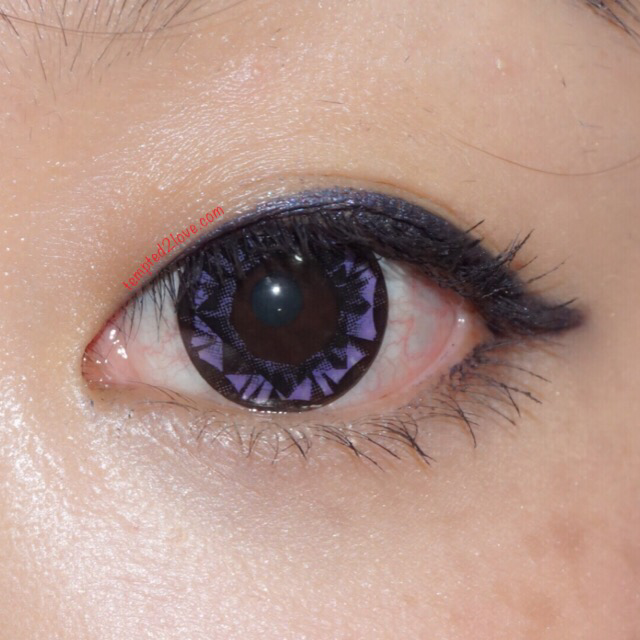 Definitely a good lenses to have when going for a date or when we need to look alert/charming! And let me tell you this…. Best of all, this coupon code can be STACKED and has NO EXPIRY DATE!! 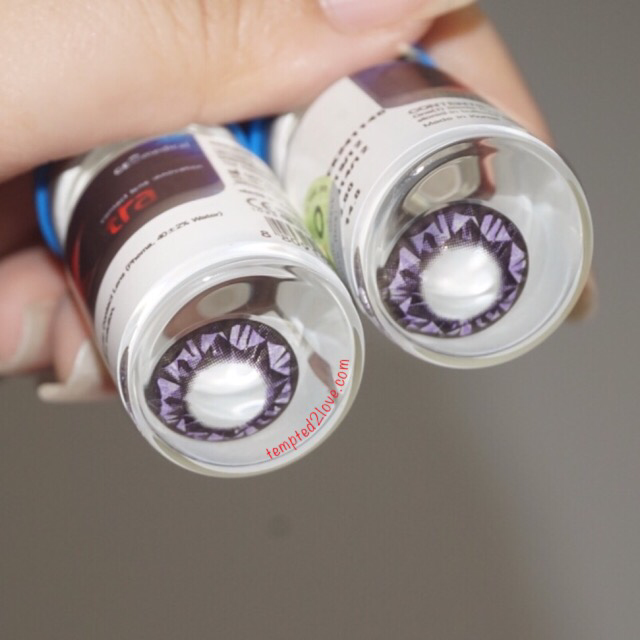 Meaning, if you buy 3 pair of lenses, you will get 3 cute animal lens cases and 3 mystery gift!! However, do note that you will not receive your macaron lens case anymore on normal purchase when you enter this code! If you like this pair that I’m wearing, click on below link to get yours today!! 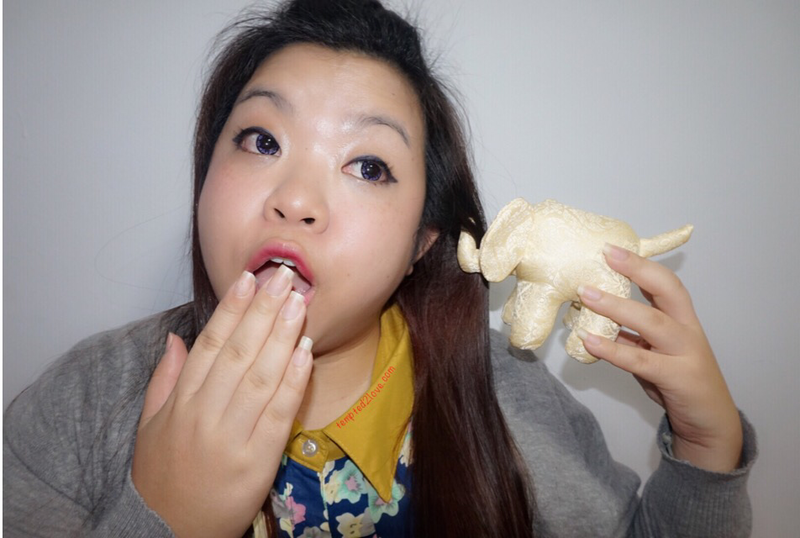 Pinky Paradise ships out the product almost like next day upon check out! I made a purchase on 4 March late night and I got an email with DHL tracking number on 5th March afternoon and guess what?? 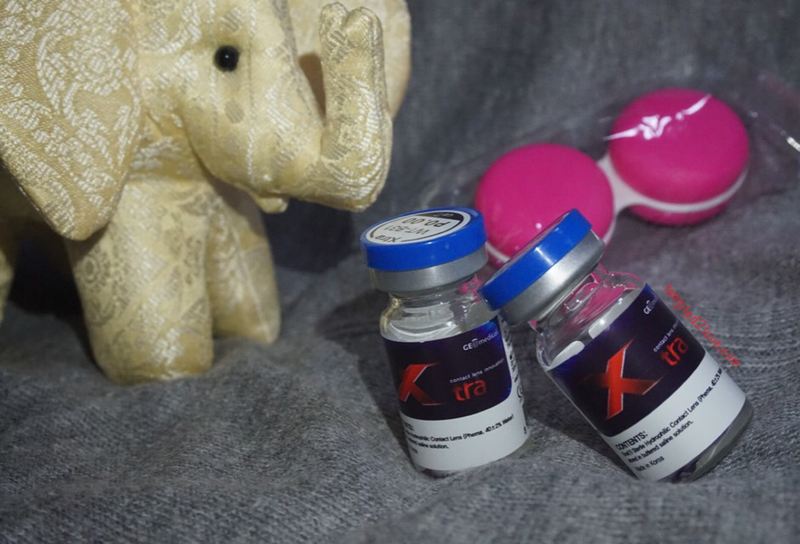 My lenses reach me on 6 March before 7pm (when I reach home, my package was in the room already)!! You can check out my previous port HERE on that purchase .. 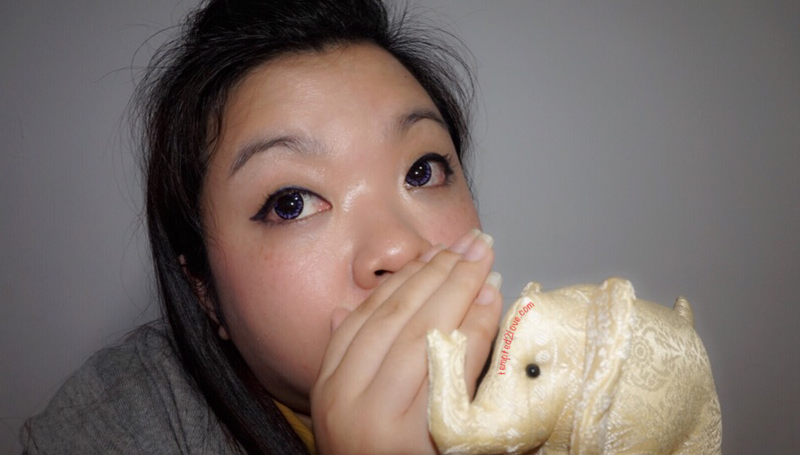 This entry was posted in .Cosmetics/Makeup, .eCommerce, GEO, Sponsored Review and tagged Circle lense, Contact lense, Decorative lenses, Pinky Paradise by Tempted to Love. Bookmark the permalink.